The flow of new migrants and refugees reaching Europe is likely to continue in the coming years. The EC recognises that education plays a crucial role in helping migrants and refugees settle in new countries and environments. 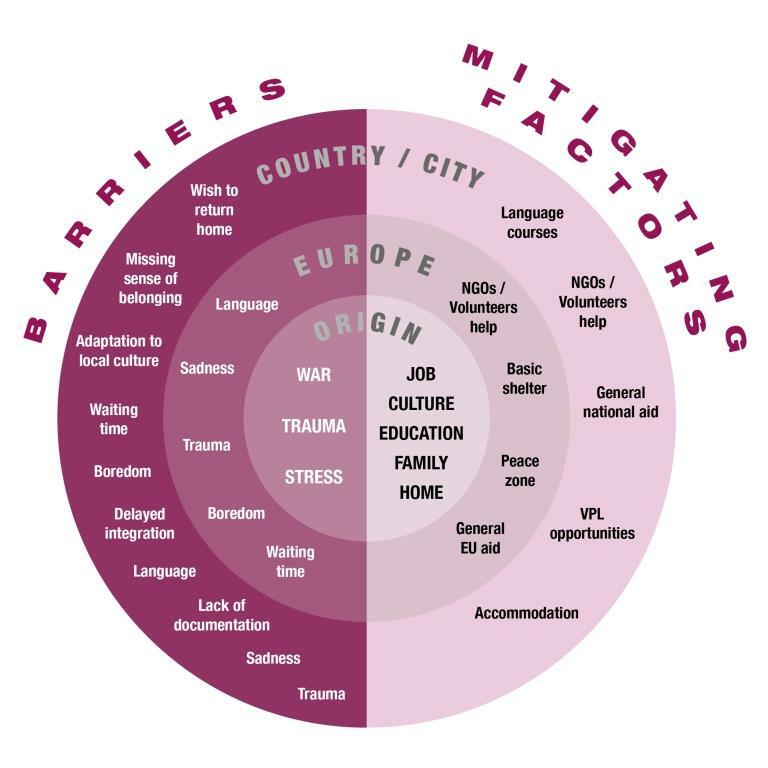 VINCE identified barriers and mitigating factors for the inclusion of refugees and migrants, visualised in the diagram above. From language learning to the recognition of qualifications, education is part of the integration process. The newcomers face many challenges and among them are obstacles to access the labour market or continue their studies, frequently because their competences are not easily recognised in the host society. Their skills and knowledge may not fit into predefined bureaucratic policies and procedures, documentation is lacking, or the curriculum they followed does not match certification structures in the host country. 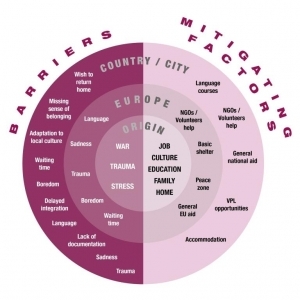 Read more about barriers and mitigating factors in Carme Royo’s EPALE blogpost “Giving opportunities to migrants and refugees to get into higher education: setting the right context for learning”. VINCE will develop university staff training in VPL, adapting existing proven VPL methods to meet the specific needs of newcomers so that they can access HE and more easily integrate into European society. The process will include the design of a set of guidelines, containing fundamental information on the culture and expectations of Europe, the host country, HE in general, the HE institution in particular, and the VPL arrangements and will represent a key tool in designing the training course for HE teachers, validators, advisors and administrators. The adapted VPL procedures will be trialled with candidates who are themselves newcomers. NGOs will be actively involved in the project, as full or associate partners, to ensure that the target users and the ultimate beneficiaries are reached at grassroots level and that their interests are represented in all the project phases. The outputs of the project will form the basis of policy recommendations targeted at decision makers and institutional learners. EU Project Identification Number: Project 580329-EPP-1-2016-1-BE-EPPKA3-IPI-SOC-IN.